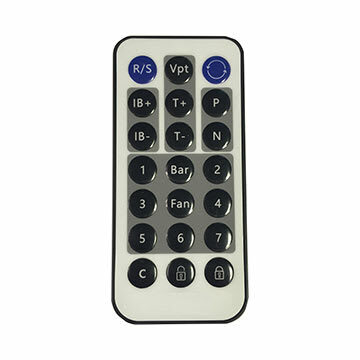 Provides uniform static elimination at high speeds. 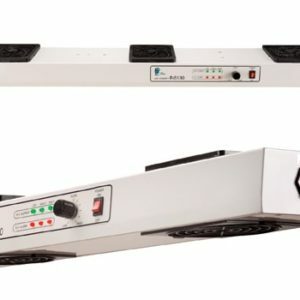 Quickly and efficiently controls static in mini-environments, laminar flow hoods and wide-area workstation applications. 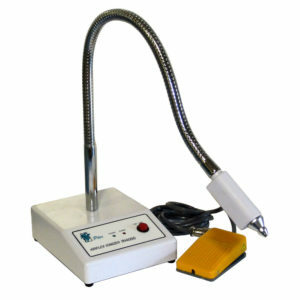 It is a highly effective tool in electronics, plastics, chemicals, printing, textile, optical and other industries. Available in 12in, 22in., 44in. or 64in. lengths. 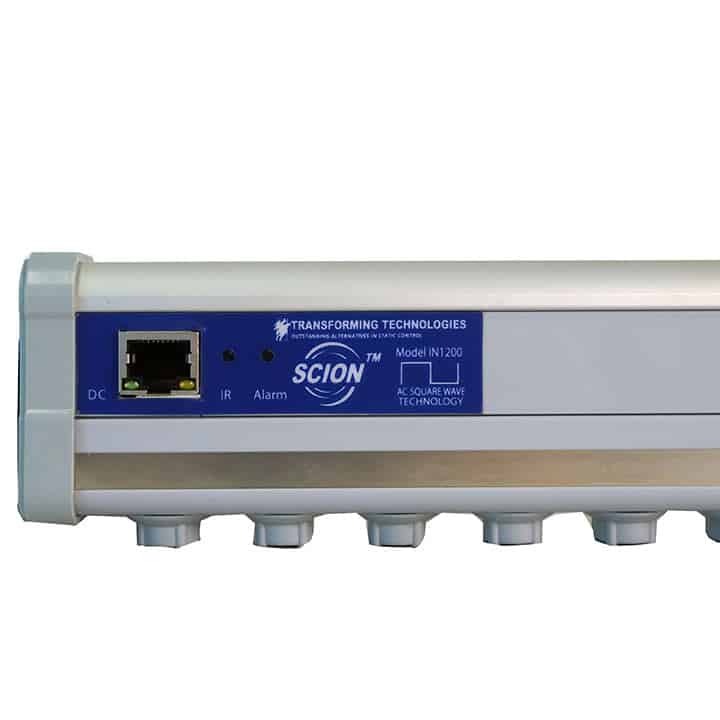 The SCION IN1200 ionizing bar is an effective tool to eliminate static in the electronics, plastics, chemicals, printing, tex-tile, optical and other industries. Utilizing AC Square Wave Technology, the SCIONTM IN1200 delivers uniform streams of ionized air that quickly eliminates static charge. 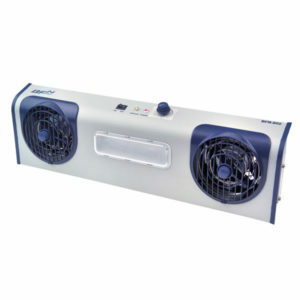 The ionizing bar features a unique aerodynamic design that ionizes a local area without disruption laminar flow. 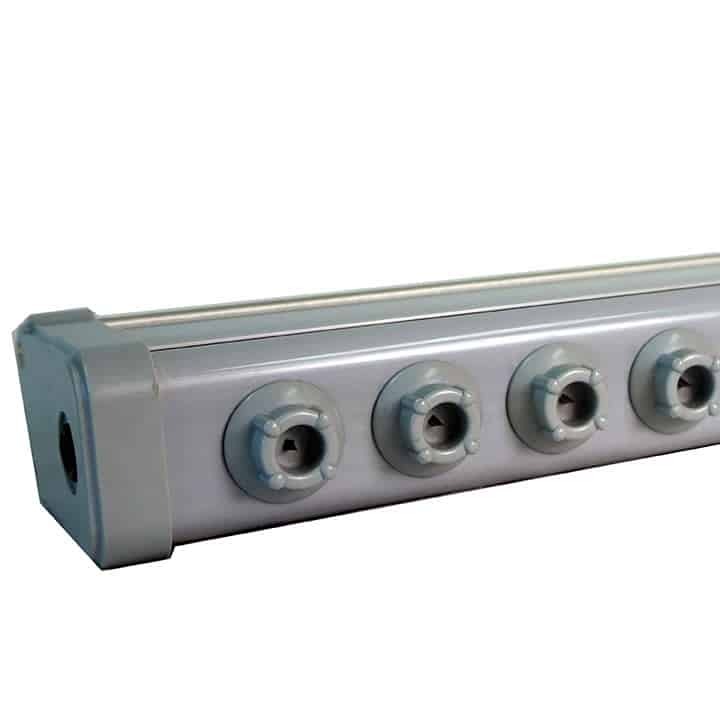 The versatile bar can be adjusted for the optimal performance in a range of application with a simple remote control. AC Square Wave ionization technology uses bipolar emitters which provide both positive and negative ions. 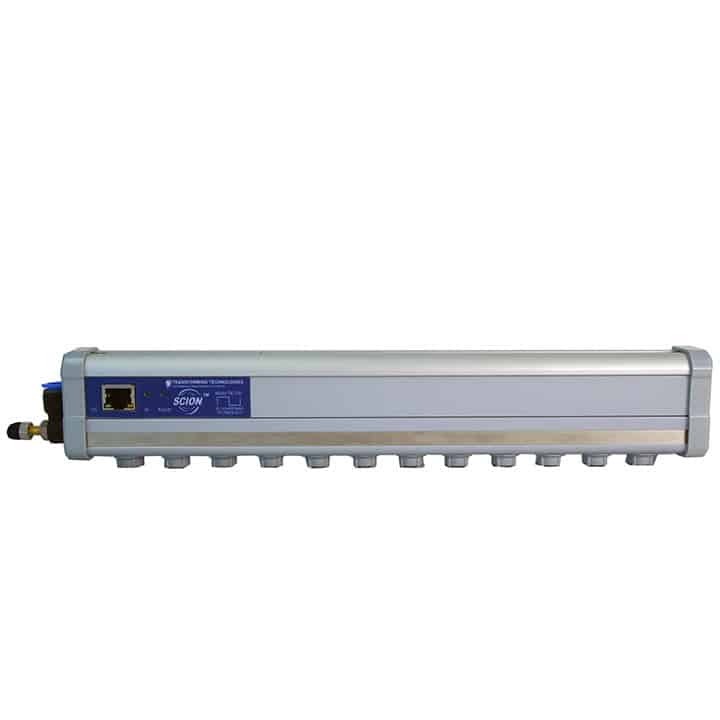 This results in less stress on the emitter points, compared with Pulsed DC ionizing bars. Pulsed AC emitter points last longer and stay cleaner and provide more uniform ionization. 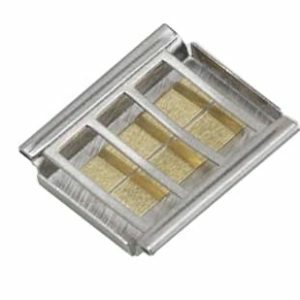 AC Square Wave ion bars are also more effective than traditional AC ionizers which are fixed at 60Hz and useful only in close target proximity or when combined with significant air-flow. 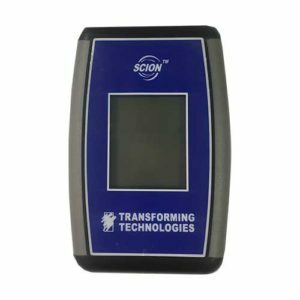 SCION bars offer duty cycle control to provide optimal ion balance and decay times in a wide variety of conditions. 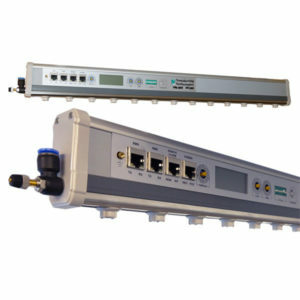 SCION bars allows polarity switching frequency (pulse width) control for optimizing balance and decay times in many environments. 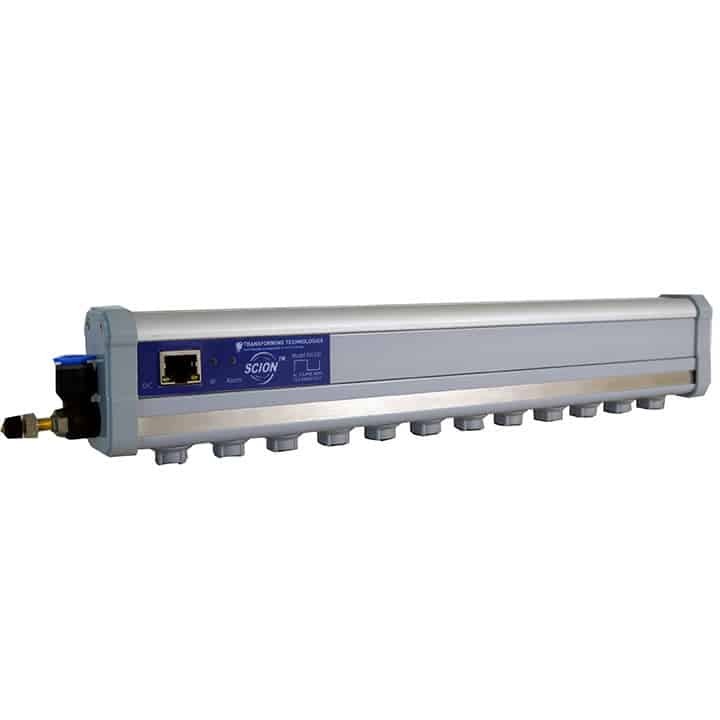 Longer switching frequencies allow the ionizer to be useful in low airflow conditions or when moving ions a longer distance. Pulsed DC bars require frequent maintenance, cleaning. Positive points deform quickly, affecting balance. Negative points collect micro-debris that must be frequently cleaned to assure performance. An external display is available which displays the bars settings. Use the IN1200-D to view the current switching frequency and duty cycle settings and adjust them to fit your specific application. Without the display, a charge plate monitor is recommended to assist with the bar settings. For use with the V2 SCION bars only. Check with Transforming Technologies for capatibility. The SCION IN1200 comes with simple to use E-Z mount clips that slide into grooves on the body of the ionizer. Use screws to secure the E-Z mount to the desired location. 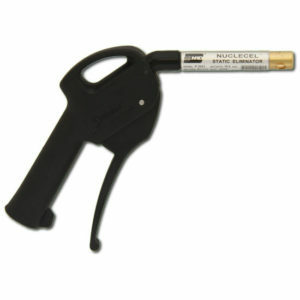 The SCION IN1200’s features patented molded emitter points that are easy to replace and service. The emitter point is enclosed in a plastic mold with threads that easily screws into the bar. 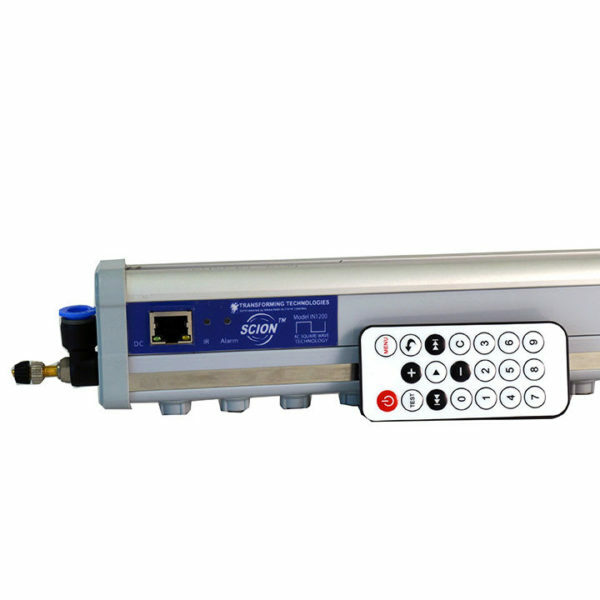 The SCION ionizer comes factory calibrated and with a calibration certificate. 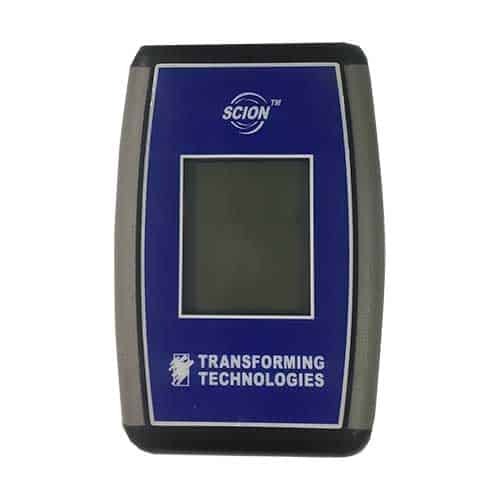 Ionizer performance can be tested and verified with a charge plate monitor. Important tests to perform are positive and negative decay times and ion balance. 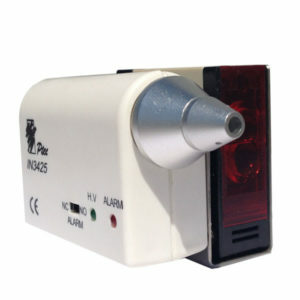 It is recommended to test ionizer performance at least 1 per year.